For anyone wondering about potty training twins, I want to share our experience using the 3 day potty training method, to give you an idea of what to expect. It’s been 10 days since we started potty training our twin girls. The twins are 2 years and 10 months old. During a visit with our friends, they told us they used the 3 day potty training method for their daughter when she was the same age and it worked! 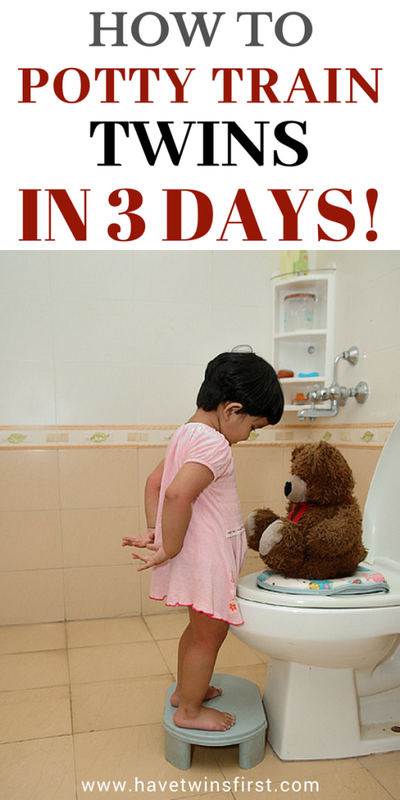 This was awesome news, you can potty train in 3 days? I wanted to know more, so I googled “3 day potty training” and read up on it. These are the articles I read. I found the Lucie’s List article to be the one I followed closely and it has a very realistic take on potty training using this method. Will your child be completely potty trained after 3 days? No, but there is a good chance she will have the basics down. I did not read any potty training books, I relied on the articles above to understand the 3 day method and that was good enough. I also made sure my husband read them too. How ready was each girl to use the potty? One of the twins, S, has been asking to use the potty and successfully peed at least a dozen times on it. The other twin, J, had only peed on the potty once because I had her sit there, with a tablet, for a good 15 minutes. I was definitely nervous how this would go for her. Another consideration for when we started potty training was the age of their little brother. The pediatrician had told us not to bother potty training when I was pregnant. Meanwhile, it was impossible to find time when he was a newborn. We ended up starting potty training the day he turned 6 months old. We have one bathroom downstairs and I was worried about the twins needing to go potty at the same time. We bought one small potty, one toilet seat ring, and each twin got their own stool. This worked very well. We purposely chose a training potty that could also be used as a toilet seat ring. This way we only needed to buy one more toilet ring for the upstairs bathroom. Once potty training started, I definitely preferred when the “big potty” was used because there was minimal clean up. Another thing to keep in mind, after a couple days, the twins started taking the insert out of the small potty to dump it into the big potty because they saw us doing it. Let’s just say this was messy and gross. If you can avoid it, don’t let them see you dump the little potty contents into the big potty. Of course I understand that could be easier said than done. While I’m writing about it, check out this Etsy shop. We got solid wood stools with the girls’ names engraved. Steve was wonderful to work with and very responsive. The twins absolutely love their stools. It worked out nicely that we gave them their stools right before potty training. They were very excited about using them for going on the big potty and for washing their hands. I’m not going to go into all the details of how to use the 3 day method, just reference the articles above. We followed the Lucie’s List article almost exactly. The purpose of this post is to tell you how it’s been working out. Day 1 went surprisingly well. S had no accidents and J had one pee and one poop accident. I was pleasantly surprised that J only had one pee accident. After that, she figured out how to pee in the potty. I was so happy for her and she was so proud every time she did it. Day 2 morning also went well, so in the afternoon we decided to try underwear and pants. We bent the rules a bit and hung out with our neighbors, at our house. It turned out this was probably too much for them to handle on Day 2. We had some refusals to go inside to go potty, which led to accidents. Day 3 we had to work and the kids’ nanny came. This change led to quite a few accidents. The twins continued to wear underwear but not pants. This seemed to be a mistake. With the change of us going to work, there were a lot of accidents in the morning. The afternoon of Day 3 and all of Day 4 we were back to no underwear and no pants, and there were no accidents! I also want to mention that the first few days we did not have success going potty before bed or before going outside. But, after a couple days they started going potty before these events, most of the time. Day 5 was a big day, again no underwear, and in the morning J pooped on the potty. We went out for ice cream that night AND there were no accidents in the car. Since Day 6 we have moved on to wearing pants, but no underwear. The ice cream trip was our first adventure in the car. This is the confusing part for me, how do you go out as usual? It’s definitely a trial and error process. So far, we have not gone anywhere that matters if there is an accident. Over the weekend, on Day 7, we attended a birthday party at a friend’s house. Each twin had one accident when we were there, but they also had successful potty trips. We had to drive about 1.5 hr each way to the party, so we put diapers on them for the car ride. The diapers seemed to have added confusion because J had a couple accidents over the next two days, one in the car and one while watching TV. If you need to travel while potty training I recommend not using diapers to avoid any regressions. Before starting we decided that we did not want to tackle potty training at nap and bedtime yet. Because of this, S has been pooping in her diaper at nap time and has not pooped on the potty yet. Today was the first day she had a poop accident and she went in her pants. I’m hoping this is a sign she will get it in the potty next time. We are using jelly beans and M&Ms as rewards. I only give out treats if they ask. The number of times they ask for a treat has decreased as the days have gone on. We are on Day 10 and they still ask for a treat a few times a day. You can also try giving a bigger prize, like a toy, if potty training has gone well for a few days in a row. It’s 10 days later and I’m still worrying about accidents when being away from the house, which I think is normal. We have had a few days with no accidents for both twins. 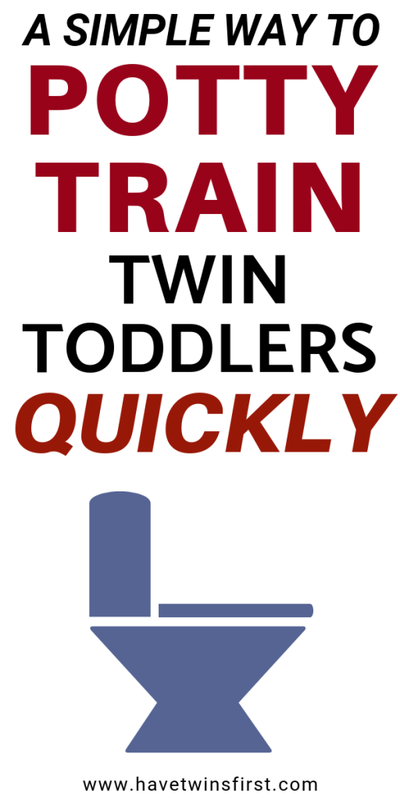 At worst, each twin might have one accident per day and this is exponentially more likely when we are away from home. One thing I came to terms with yesterday is they do not always tell me when they have to go potty. Sometimes they do tell me, which is great. Sometimes they say they have to go, but nothing happens and they goof off in the bathroom. If they are excited about an activity they are doing, they WILL NOT go potty on their own. I decided going forward, if it has been 1.5 hr since going, I will tell them they have to go potty. If they still refuse to go (pretty much guaranteed), I will tell them that we will have to completely stop doing the activity we are doing. So far, this has been enough motivation to get them to take a potty break. Do I Recommend The 3 Day Method For Twins? Yes, I would definitely recommend using this method with twins. It has taught my girls the basic understanding of how to go potty. I was especially happy that J, who did not seem ready, was able to easily start using the potty. As expected, it’s a big undertaking potty training two at once. 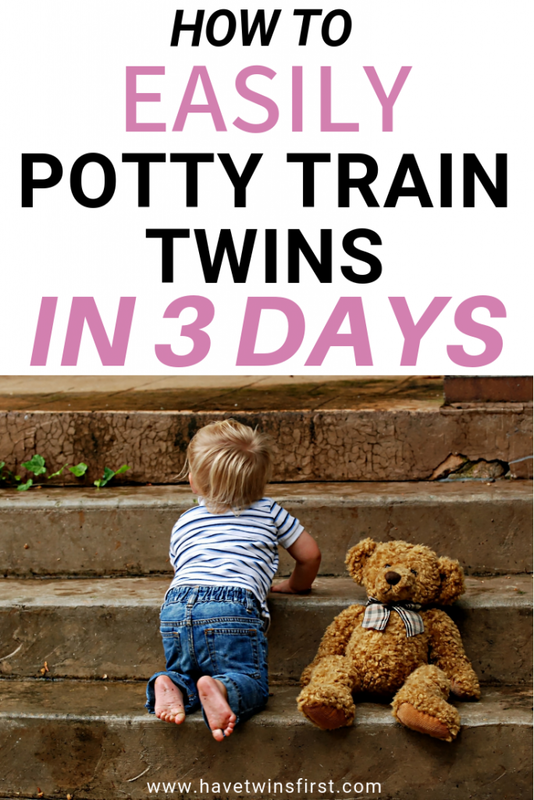 Using the 3 day potty training method with twins makes this big undertaking a simpler process in my opinion. Are you wondering what happened next on this potty training journey? 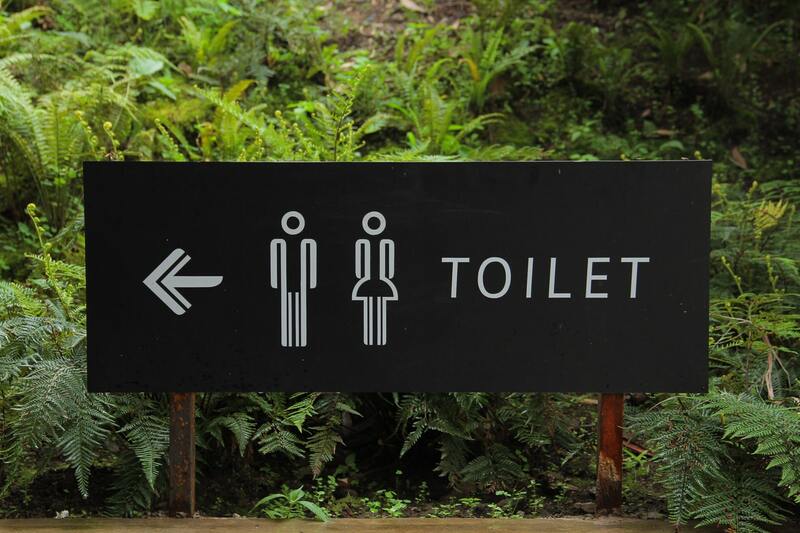 Check out the next article in the series, Potty Training Twins – 45 Days Later. You Found A Tick On Your Child – Now What?